Your business growth can be accelerated when the applications that power your data-driven business run faster. In today’s multi-cloud environments, “real-time” isn’t a slogan; it’s a necessity. For applications to provide answers and insights at the speed of life, your storage must respond in microseconds – at the speed of memory – not a thousand times slower, as storage did for decades, until the 21st century brought mobile banking and worldwide social engagement to the palm of your hand along with artificial intelligence (AI)… and so much more. These are the reasons why the Non-Volatile Memory Express (NVMe) protocol and NVMe-based technologies and solutions are attracting so much attention – ever-accelerating business needs for more speed and greater efficiency. For decades, IBM Storage has been one of the leaders in developing and bringing to market high performance IT infrastructure solutions. For example, IBM FlashCore technology and its precursors have been providing ultra-low latency data storage for over 30 years, helps improve your application, and workload results. More recently, IBM solutions such as the Coherent Accelerator Processor Interface (CAPI) and IBM zHyperLink™ technology demonstrate that there has been plenty of IBM focus on ultra-low latency storage. In 2016, IBM responded to the transformation in data value with sweeping additions to its all-flash solutions such as IBM FlashSystem A9000, which included features intrinsic to NVMe functionality. By May 2017, IBM announced our NVMe strategy based on optimizing the entire storage system stack, from applications to flash technology. In December 2017, IBM exhibited the IBM FlashSystem 900 using NVMe over an InfiniBand fabric integrated with an IBM POWER9 Systems server. In February of this year IBM began shipping NVMe over Fabrics (NVMe-oF) for IBM FlashSystem 900 for an Infiniband fabric, and software support for NVMe fabrics for the IBM Spectrum Accelerate and IBM Spectrum Virtualize families. IBM FlashSystem A9000/A9000R, IBM FlashSystem V9000, IBM Storwize V7000, IBM SAN Volume Controller (SVC) and IBM FlashSystem 900 are hardware-ready for NVMe over Fibre Channel. 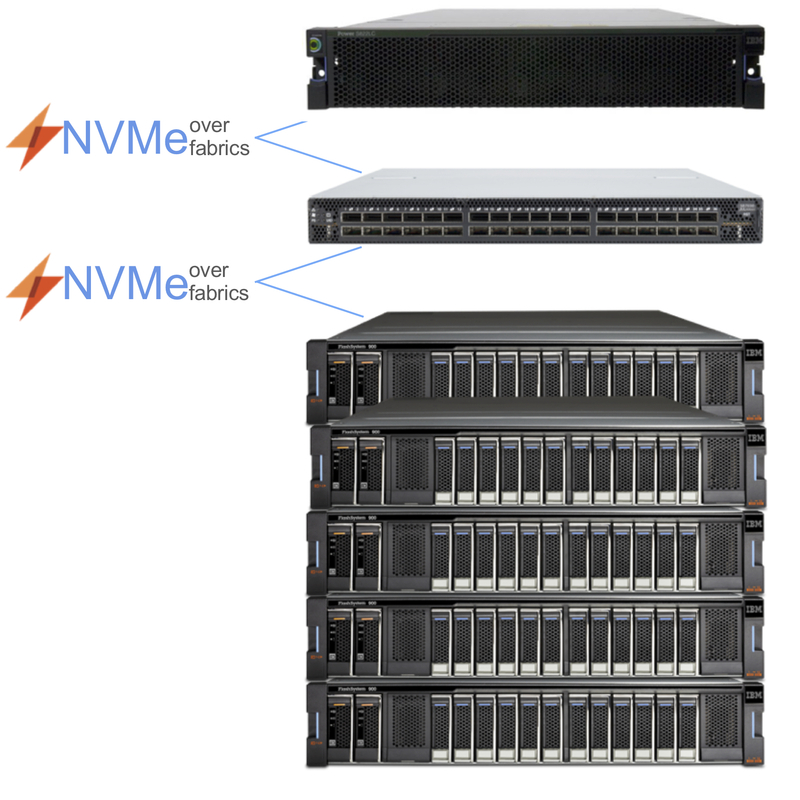 IBM FlashSystem V9000, IBM Storwize V7000 and IBM SVC are hardware-ready for NVMe over Ethernet. 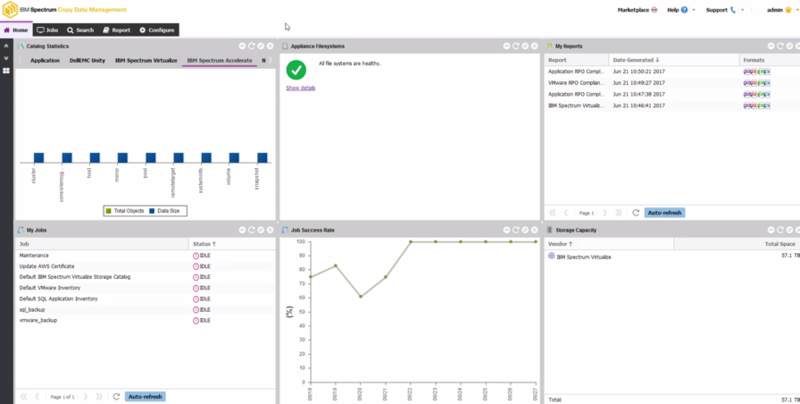 IBM Spectrum Scale, part of IBM’s market-leading storage software, offers NVMe capabilities through its local read-only cache (LROC) feature. NVMe-based all-flash solutions offer lower storage latencies than traditional protocols, but the advantages don’t stop there as IBM’s upcoming all-flash solutions include a panoply of software designed to drive the most value from your data driven multi-cloud enterprise. 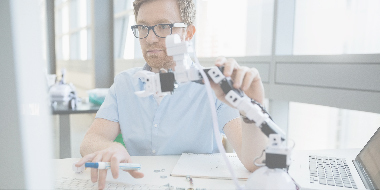 High-performance technologies such as NVMe help power the real-time and AI applications that enable your business to keep pace with life in the 21st century. IBM Storage is at the forefront of NVMe innovation, regularly announcing new NVMe capabilities and solutions – see what is coming from IBM Storage this month. The market momentum surrounding NVMe is still building and IBM Storage is leading the way. Join us on 10 July and see how IBM could be transforming your data driven multi-cloud organization.